As part of the Netflix #StreamTeam we receive a monthly newsletter and this month Netflix is asking me at what point did I get hooked on my favourite shows. The problem with that question is I genuinely don’t know. That’s in some part because I can’t remember as I watched them a while ago or maybe I was just hooked from episode 1. Some of the shows on Netflix have been around for a while, so I have watched them on recommendation of somebody else. Other shows I’ve watched because Netflix gives you the perfect conditions to binge watch. As soon as one episode finishes and that little clock starts counting down to the next episode…..you devlop an itch to watch more and you don’t have to do anything to scratch that itch because Netflix does it for you. One minute your itching for another episode, the next its 3am and your kids are going to be awake soon! So, here goes. What element of some of the shows I’ve watched got me hooked? I’m going to try and keep this as spoiler free as possible! When did I get hooked: I THINK it was Season 2, episode 13. What hooked me? : Don’t get me wrong, I enjoyed the first 2 seasons but it was “OK”. Then I watched this episode and although it’s the last in the season it tied the whole season up well AND set up the events of season 3. When did I get hooked: Episode 1. What hooked me? : Although I don’t know the comics, I’m a fan of the recent trend of comic book movie adaptations and when I heard Netflix had some Marvel originals coming online, I was intrigued to see what they did with it and they did NOT disappoint. 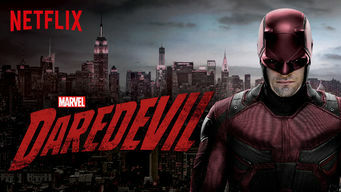 Daredevil is dark, grim action packed and Matt Murdock is played perfectly by Charlie Cox. I can’t wait for the next Netflix/Marvel show called ‘Jessica Jones‘ which I hope is streaming late November. When did I get hooked: Episode 3 or 4. What hooked me? : Nothing. until episodes 3 or 4. They tease the conclusion of the series pretty early on and the series is about how they get to that point. After 3 or 4 episodes I felt invested and had to stay the course. When did I get hooked: Episode 1 (Again) and then Episode 1 off season 2! What hooked me? : Two words. Kevin. Spacey. 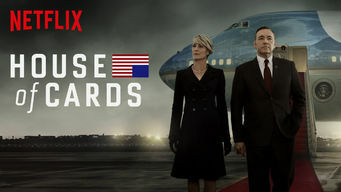 Spacey brings his ‘A’ game as congressman Frank UNderwood. The whole series is great even if the ‘Breaking the 4th wall’ did get annoying sometimes. 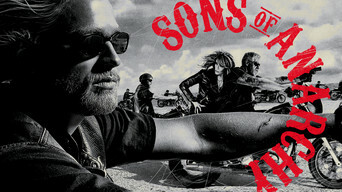 I enjoyed it from the first episode but Episode 1 of season 2…Wow I didn’t see THAT coming! What hooked me? : What hooked me was that my kids got hooked. They love this show. In the first episode it deals with characters that normally don’t get along, working together for the greater good. 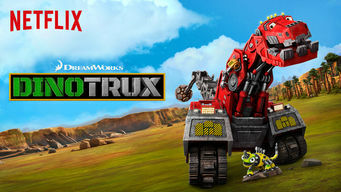 The show has a decent moral compass and c’mon…its dinosaurs AND Trucks…whats not to love! What’s your favourite show and what got you hooked? Also. if you liked reading my opinions on these shows, you might just like my Netflix movie reviews which can be found over at New On Netflix. As part of the Netflix #Streamteam, I recieved a years subscription to the service in exchange for delightful and informative posts just like this one. Daredevil got me hooked instantly. As did Orange Is The New Black. Currently watching Once Upon A Time and got hooked from episode 1. 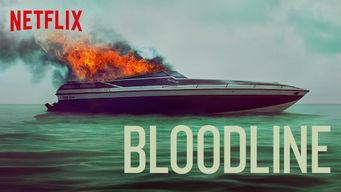 Still need to watch Bloodline….